Pictured are the Class 3 winners: First place - Julia McIntyre, Franklin County R-2, Second place - Lexi Oetterer, Franklin County R-2, and, Third place - Lauren Hoerstkamp. NEW HAVEN, Mo. 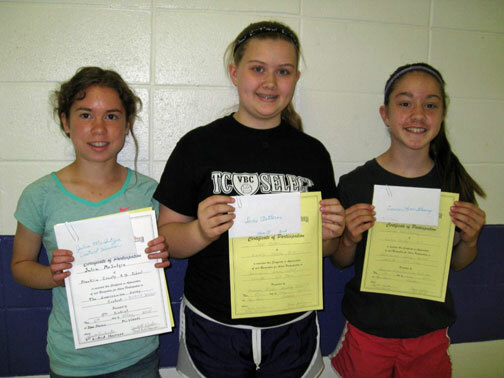 - The American Legion Auxiliary Post 366 in New Haven recently announced winners of the 2014-2015 Americanism essay contest. Below are winners of Class 1 and 2. This year’s essay title was – What Does Freedom Mean to My Family? 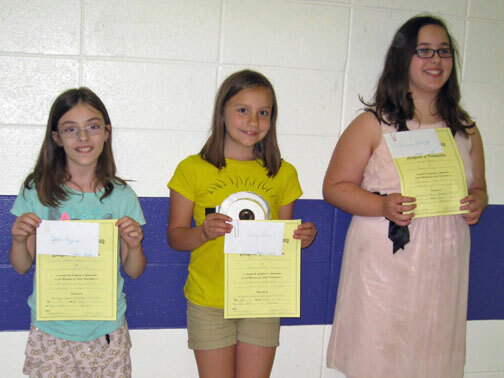 Students competed in three divisions – Class 1 for grades 3 and 4, Class 2 for grades 5 and 6, and Class 3 for grades 7 and 8. Pictured below are the Class 1 winners: First place - Jade Ayers, Franklin County R-2, Second place - Elaina Cronia, Franklin County R-2, and Third place - Emma George, Franklin County R-2. 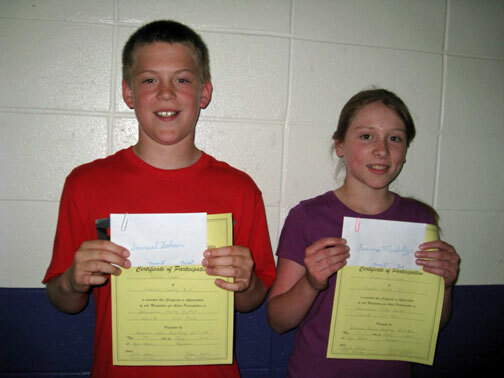 Pictured below are the Class 2 winners - First place - Samuel Scheer, Franklin County R-2, and Second place - Emma McIntyre. 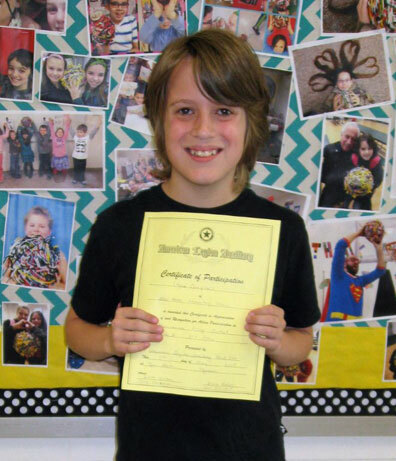 Pictured below is Logan Campbell, New Haven Elementary who took third place in Class 2.